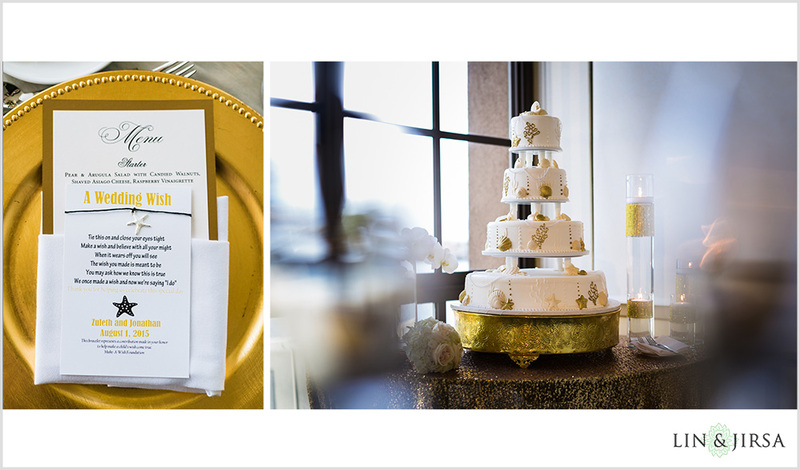 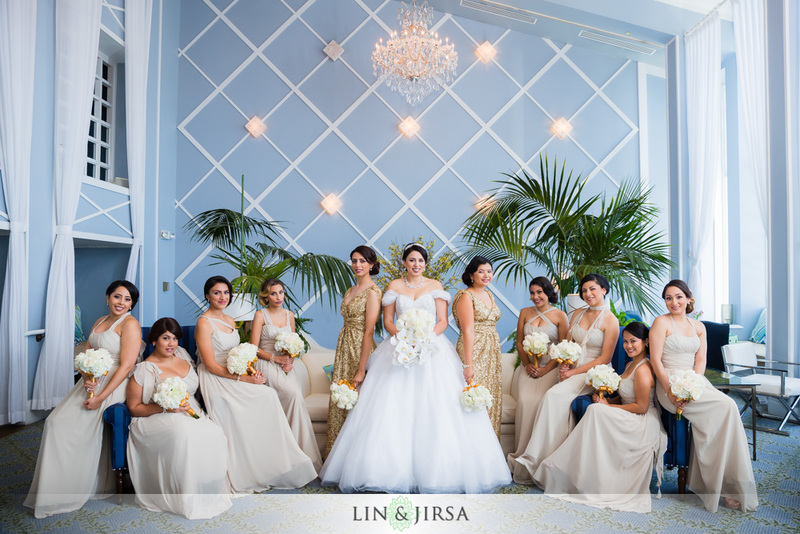 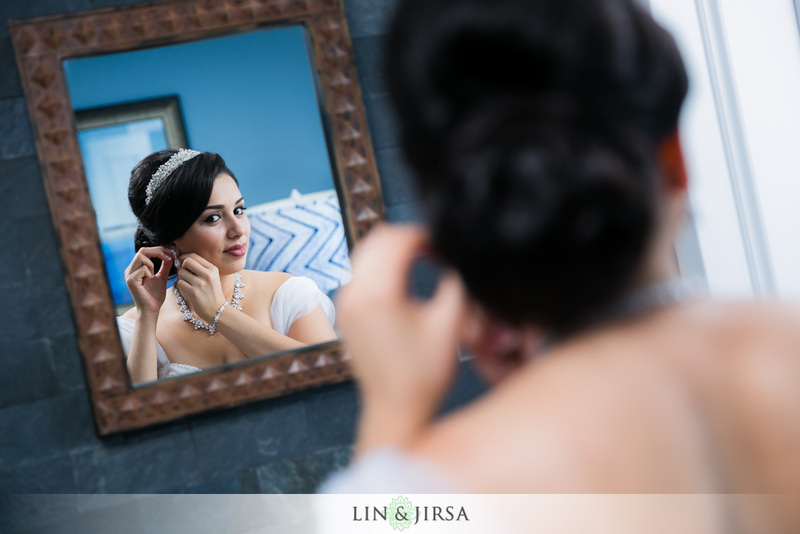 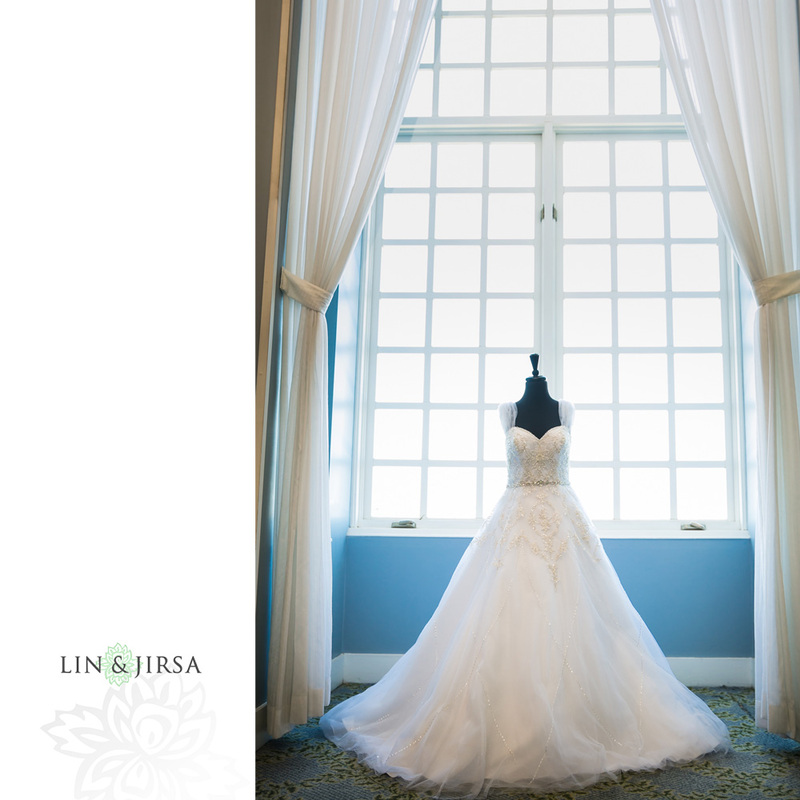 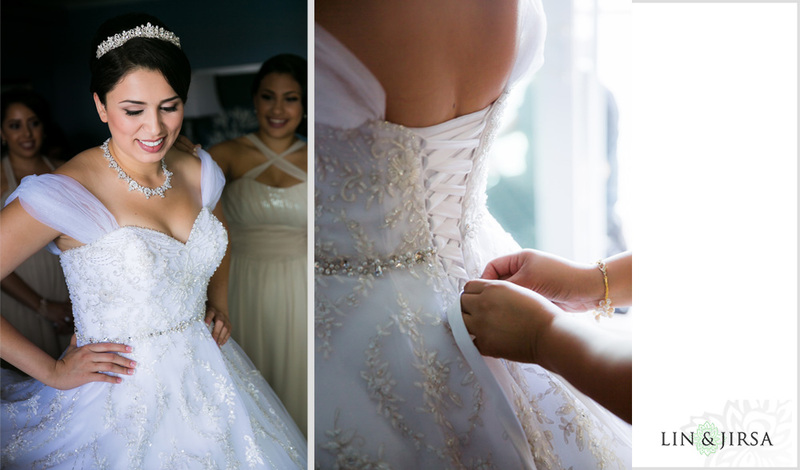 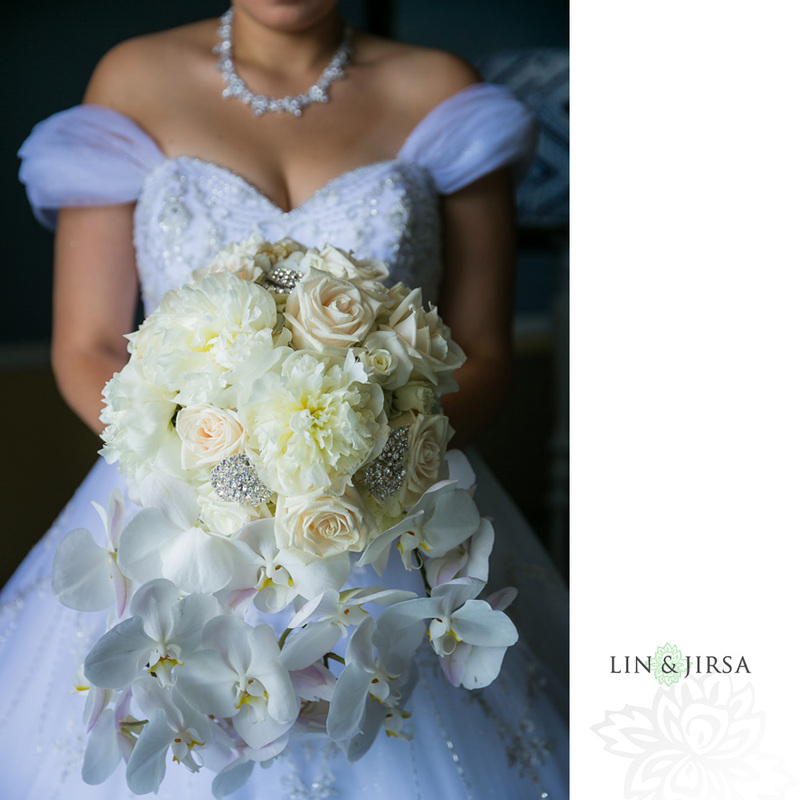 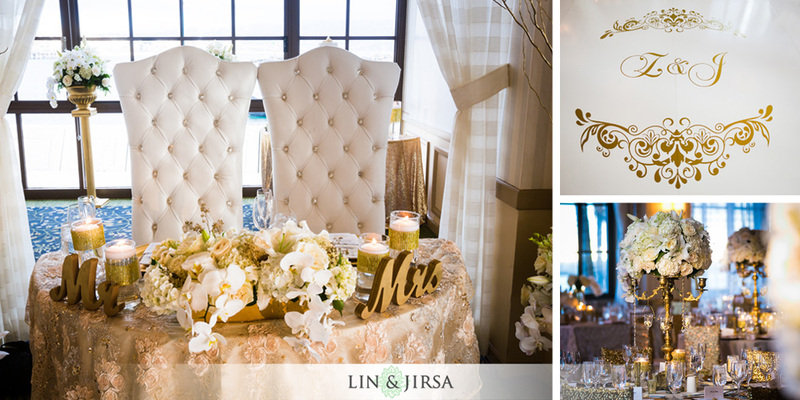 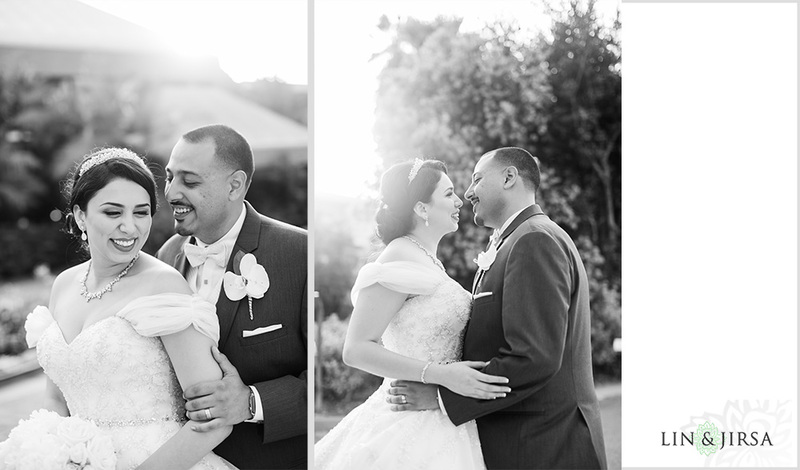 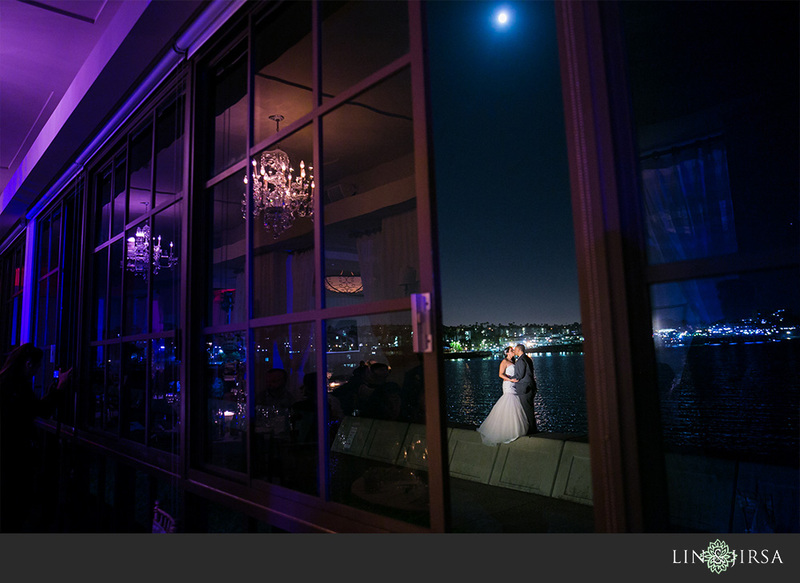 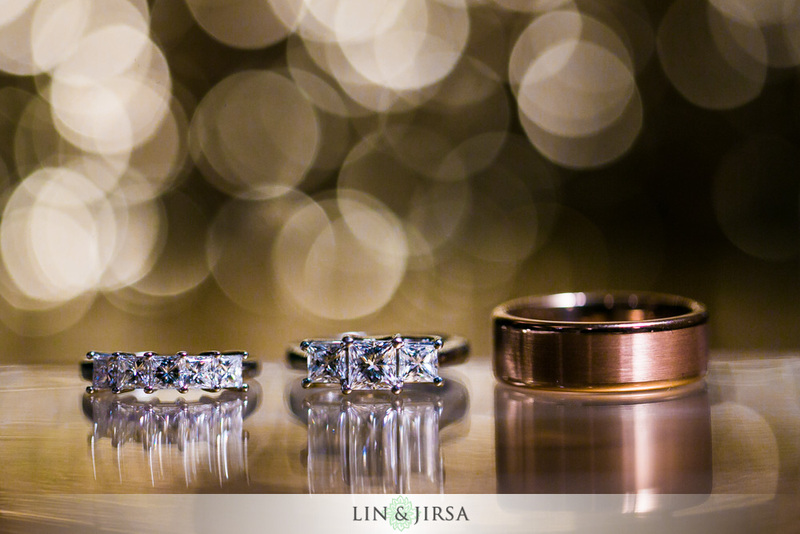 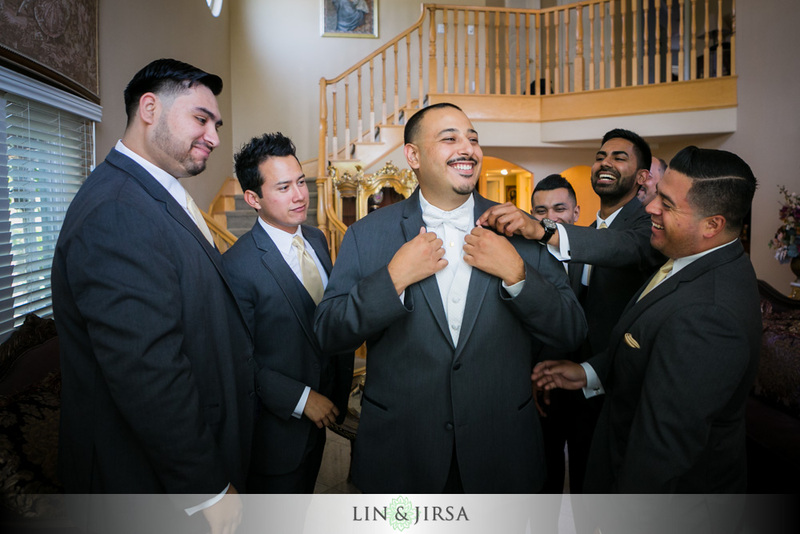 Please enjoy this stunning Portofino Hotel and Marina wedding featuring Jonathan and Zuleth. 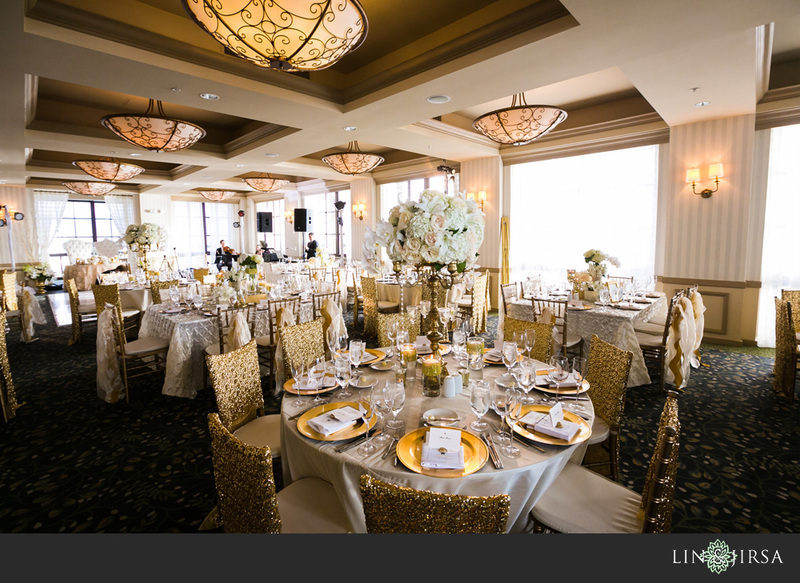 Special thanks to the wedding planner, Yes Girl Events, for organizing this wonderful event. 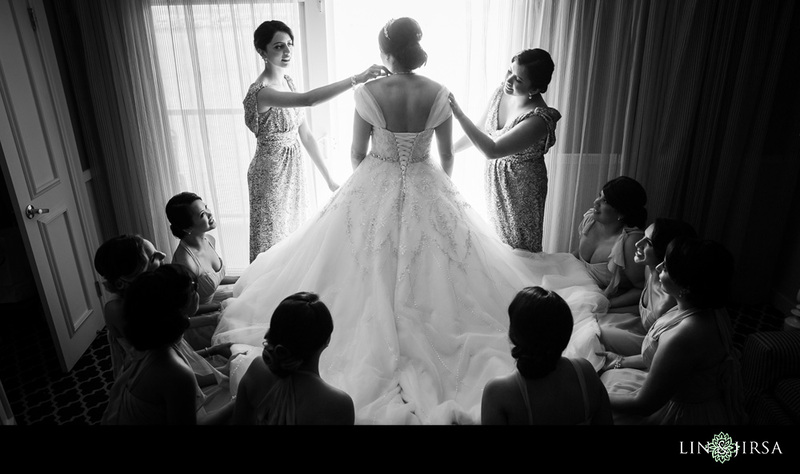 The blushing bride sought the help of her appointed bridesmaids to help her into her gorgeous wedding gown. 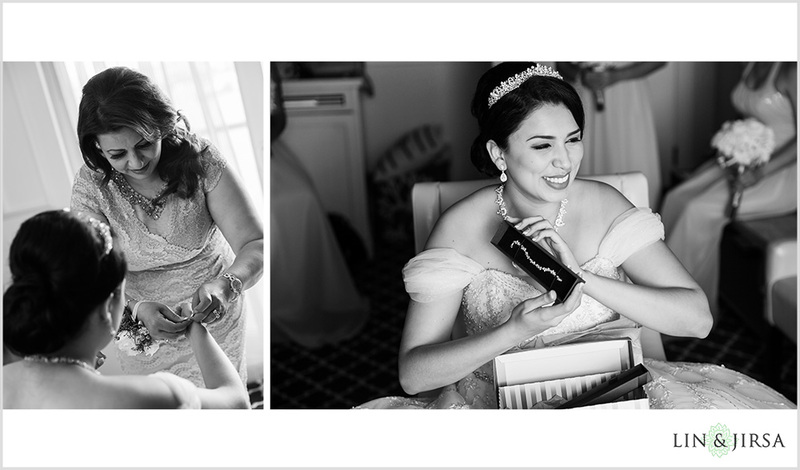 Zuleth truly embodied a modern day princess with her tiara and decadent jewelry to match. 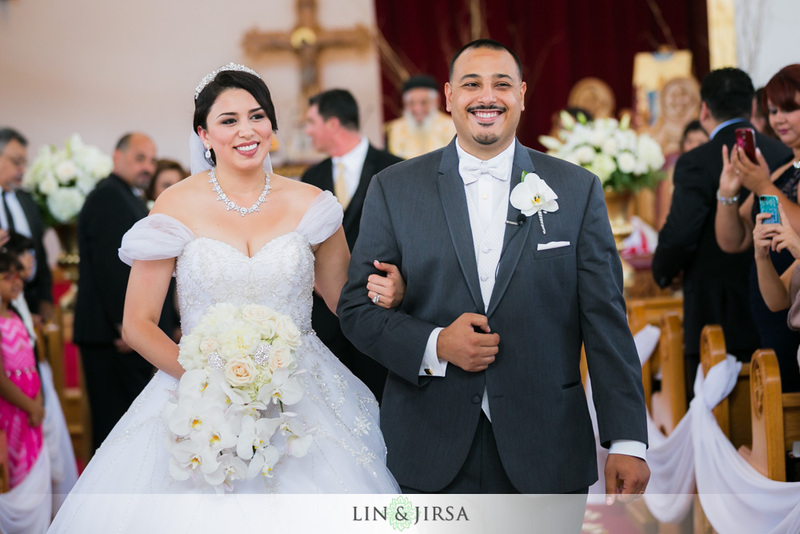 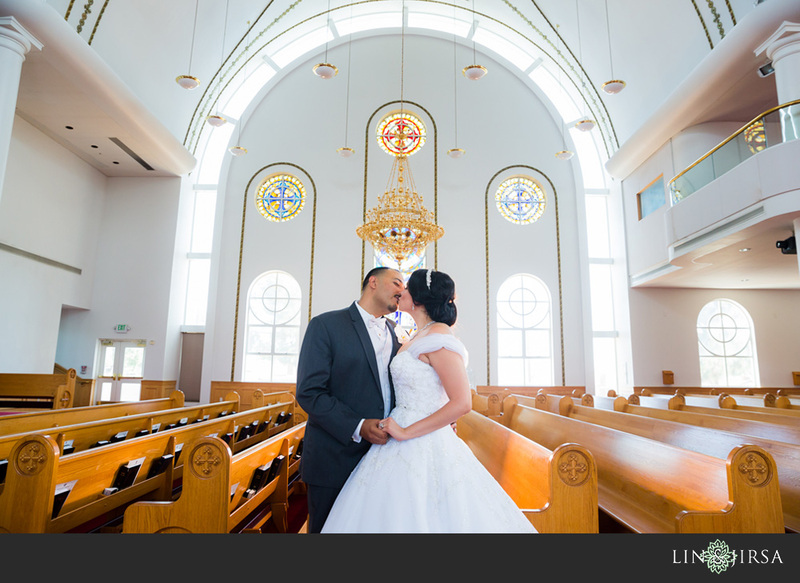 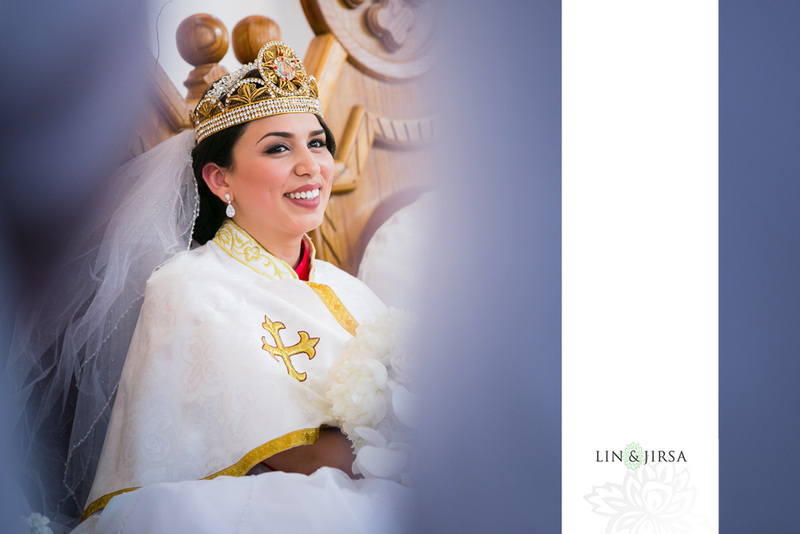 Jonathan awaits his princess Bride as she makes her way down the aisle at St. John Coptic Orthodox Church. 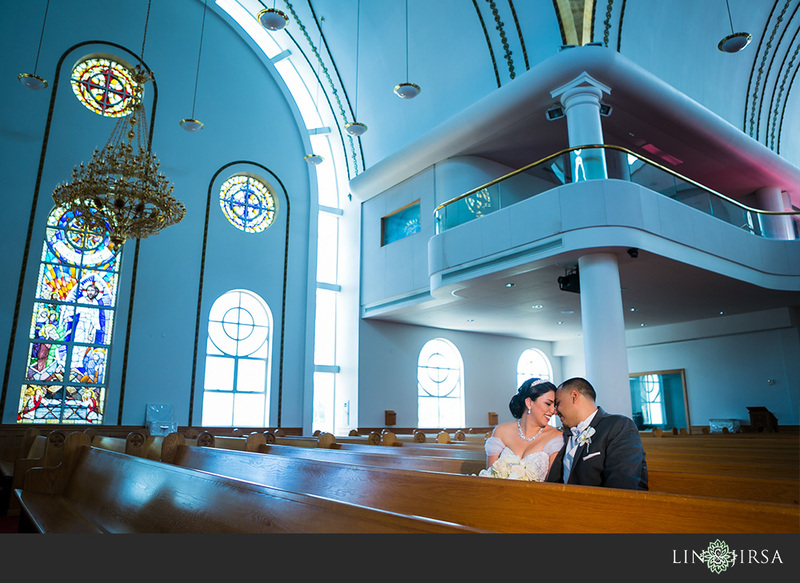 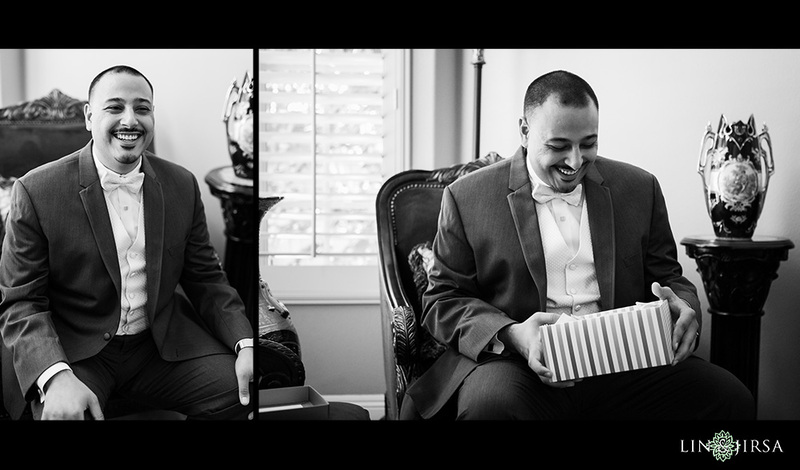 After all their guests exited the St. John’s, the couple snuck back in for an intimate portrait session. 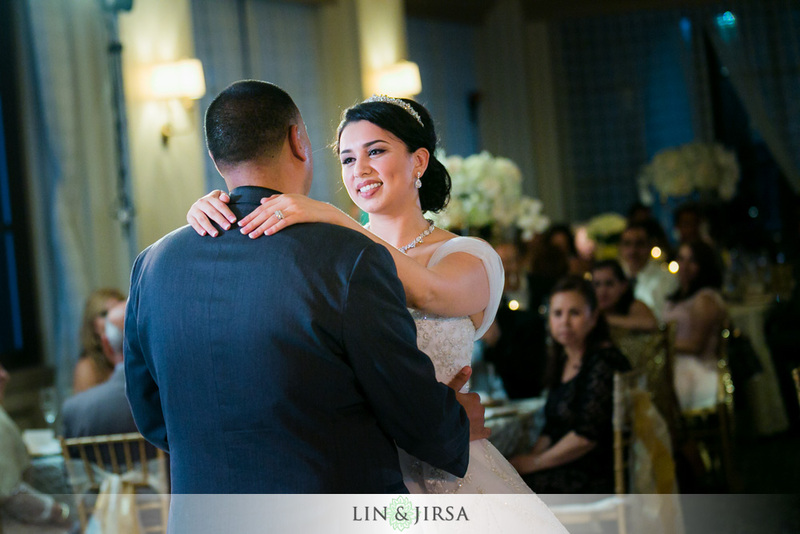 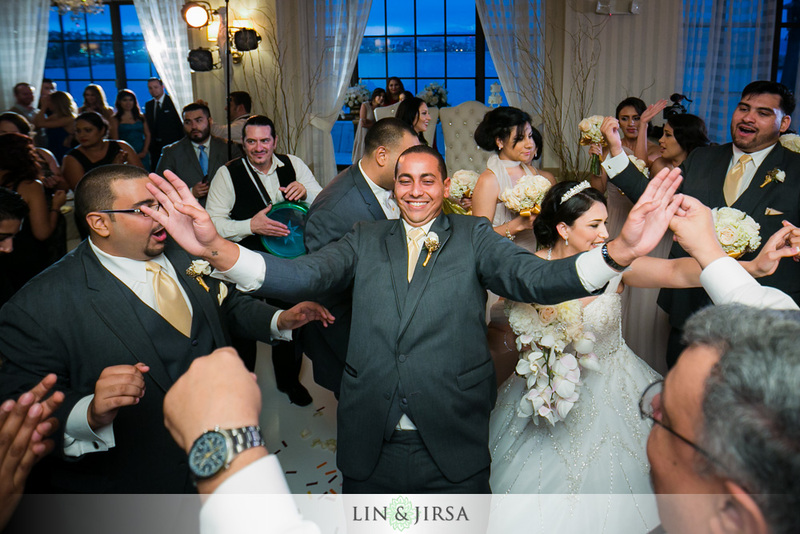 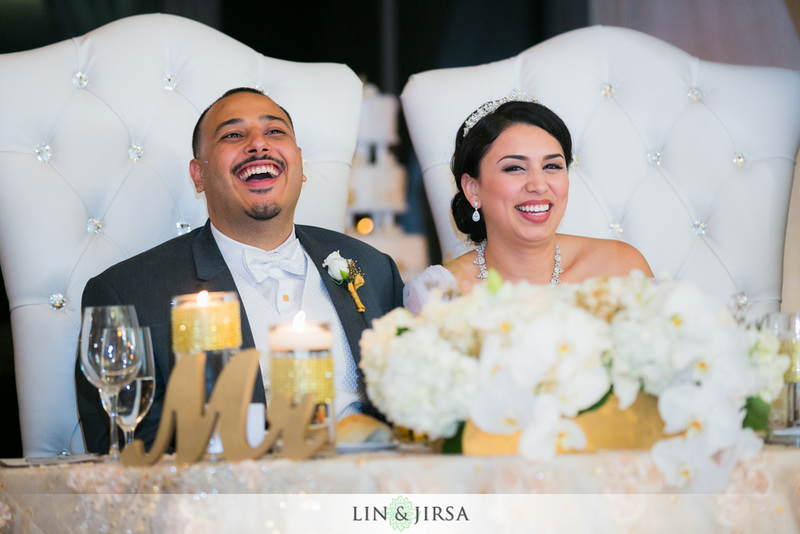 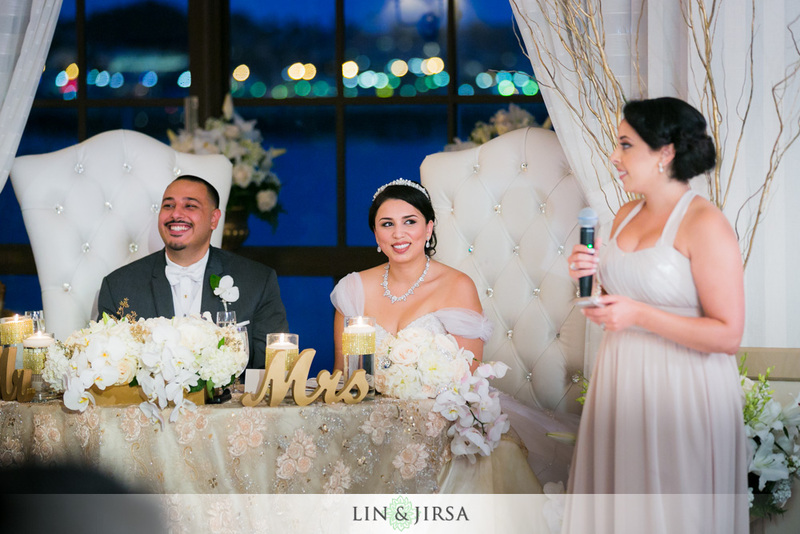 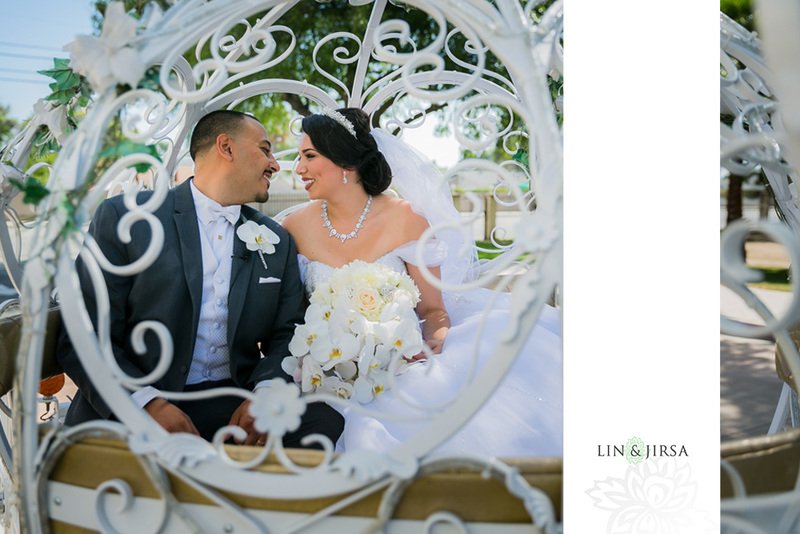 Jon whisks Zuleth away following their ceremony in this beautiful white carriage bearing a familiar resemblance to Cinderella’s carriage. 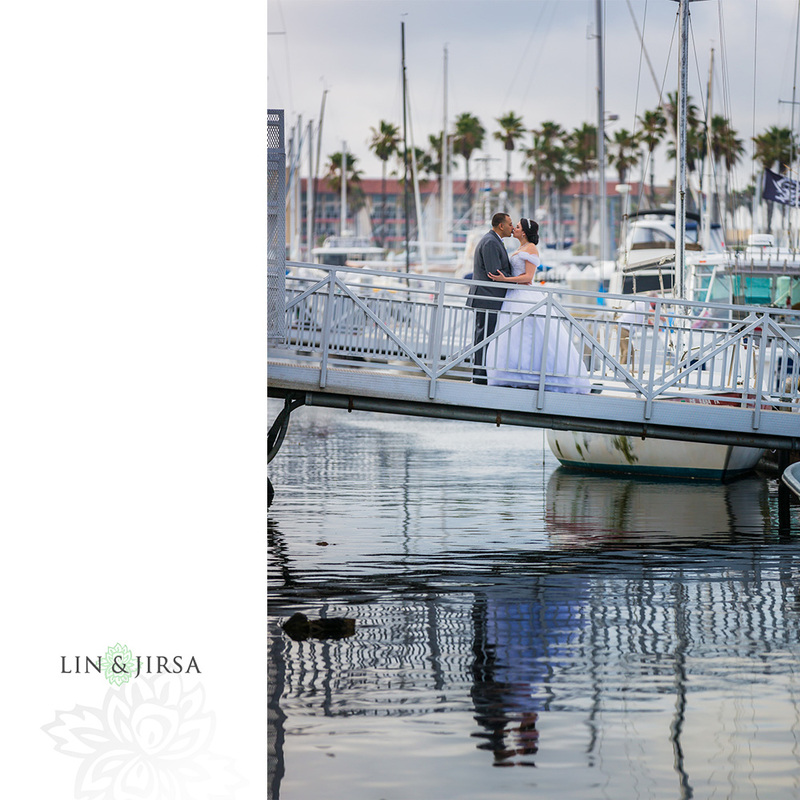 The marina is a beautiful attribute of the Portofino Hotel and Marina, offering views like this as a stunning backdrop for their couples’ session. 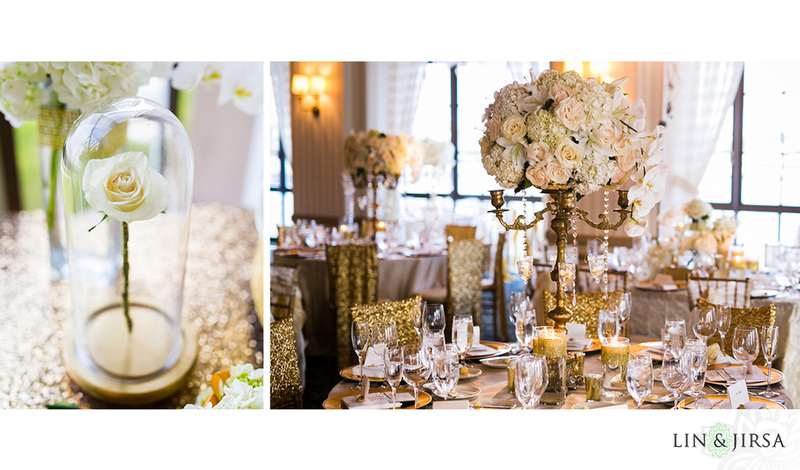 The rose captured within a glass case is a reference to the ‘tale as old as time’ Beauty and the Beast – Zuleth and Jonathan left no detail behind while creating their fairytale wedding. 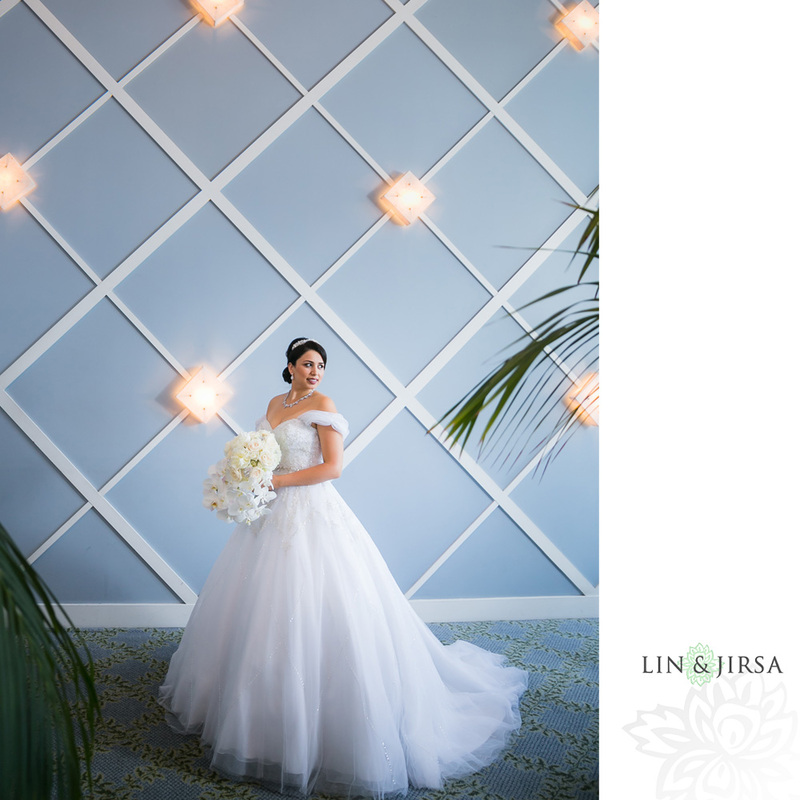 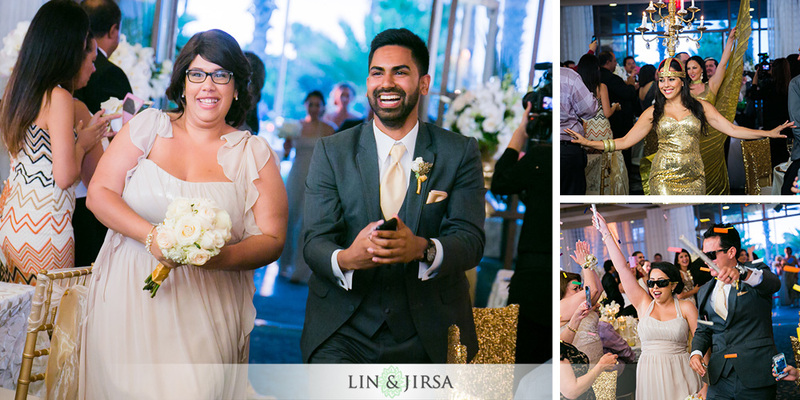 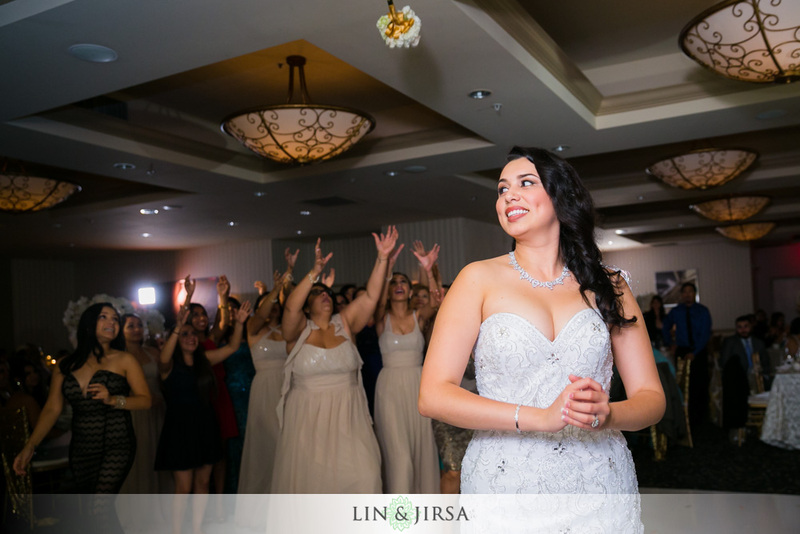 Their grand entrance into the reception hall at the Portofino Hotel and Marina was a true stunner as they strolled in with belly dancers and their full wedding party. 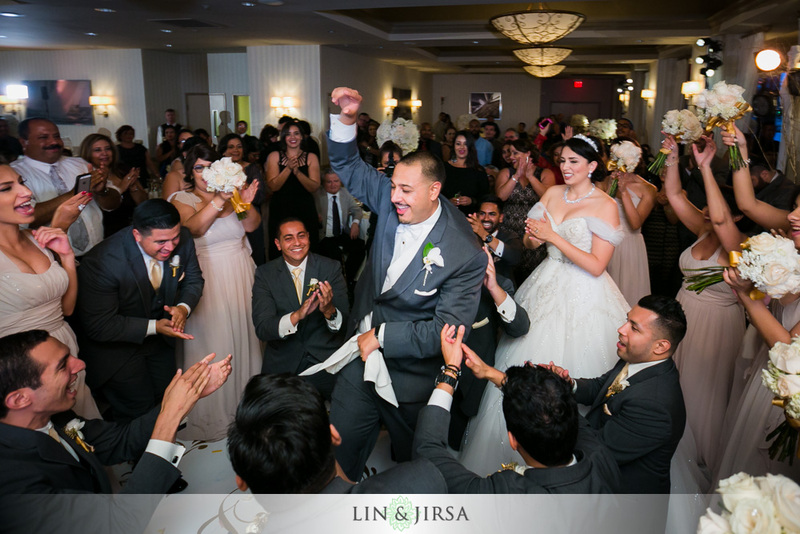 Here the couple engages in a traditional money dance, where members from both sides of the family take turns dancing with the couple and offer them good luck and money as they embark on this new journey. 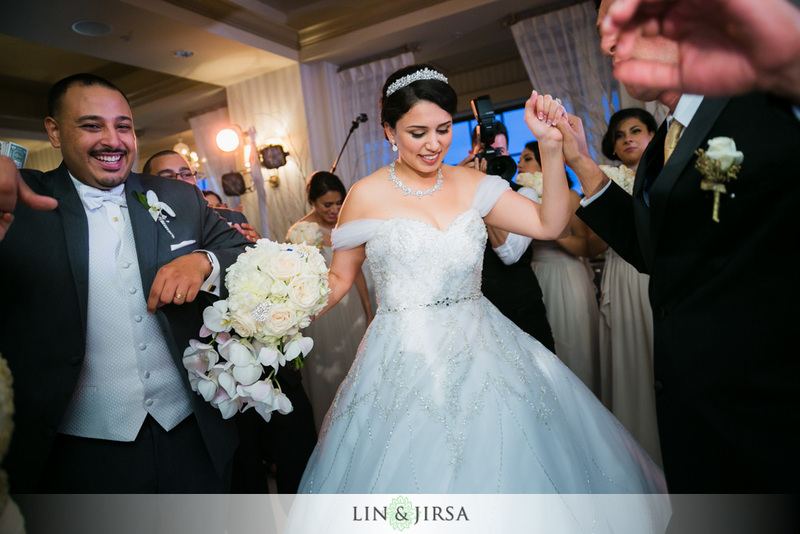 It will come to no surprise after witnessing their marriage that Jonathan’s love for Zuleth is straight out of a fairytale. 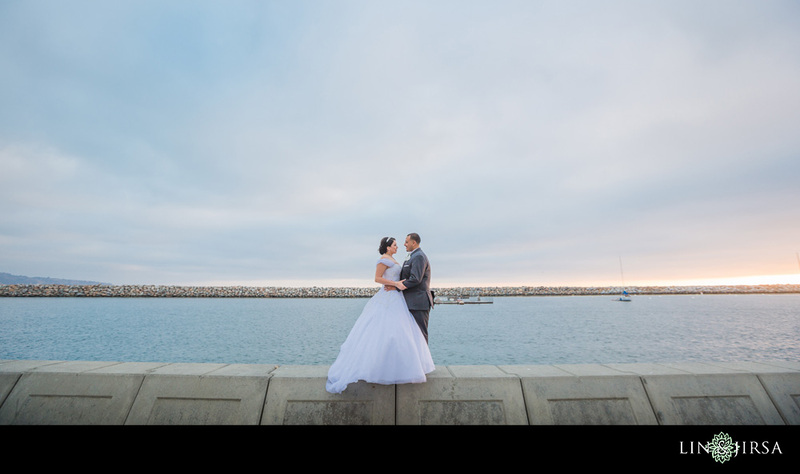 He proposed to her while flying high above the ocean professing his love for her and even landed a mention in the news – check out the video here!